Climate Action caught up with Ursula Mathar, VP BMW Group ahead of the Sustainable Innovation Forum, organised in official partnership with UN Environment alongside COP23 in Bonn on 13-14 November 2017. What global trends are you seeing now which are driving the future of mobility? We’re currently seeing an increase in demand for new mobility services that improve the quality of life in urban areas. At the moment, there are large amounts of traffic on urban streets that create an increase in air pollution and loud noise. From our conversations with city officials, we’ve learned that future mobility services can only be successful if they can efficiently connect public transport and individual mobility. We presented our conception of future mobility during BMW’s 100 year anniversary with the BMW VISION NEXT concept cars. The car of the future is autonomous, connected, electric, sustainable, and, if desired, shareable between multiple clients. We see trends toward these developments in “Automated,” “Connected, “Electrified,” and “Shared” – ACES for short. In coming years, we will witness the automobile change more rapidly and substantially than ever before. Our customers should look forward to new technology and customization options. The future is exciting! How is BMW helping to develop smart and liveable cities? We have the opportunity to make cities more livable through technology. Our innovative vehicles and services are the primary method to achieve this. Additionally, the BMW Group has founded a research center for urban mobility, with comprised of a variety of experts from different fields. The joint task of the team is to engage with leaders of big cities and analyze their needs. This is at the prerequisite for developing new urban mobility solutions together with cities. What do you see as the barriers to achieving large scale sustainable urban mobility? There are currently big differences in how electro-mobility is being promoted in different countries and cities. Positive examples, like Norway, show what can be achieved with a proactive effort – one in three new cars is electric. Unfortunately, there is a lack of adequate electric vehicle charging infrastructure in many cities worldwide. This can scare away potential customers, who would otherwise want to make the switch to environmentally-friendly electro-mobility. What are the key innovations and solutions that BMW are bringing to the climate change effort? In our view, it is crucial to adopt a comprehensive approach to combatting climate change as business. Within the framework of our ten sustainability goals, we have targets for our products, services, production, and supply chain. In this way, we want to significantly reduce the CO2 emissions of our vehicles, be a leading provider of electro-mobility, and permanently change mobility behaviour in cities. At the same time, we are continuing to pursue our goal of further reducing CO2 emissions at our production facilities. We are increasing the energy efficiency of our facilities and are investing in renewable energy. Our vision is to ultimately have a completely emissions-free production process. To achieve this, we increased the share of renewable energy in our purchased energy mix to 63%. We built wind turbines at our Leipzig plant, where we build our BMW i vehicles. Our Oxford plant is relying on solar energy, while our Rosslyn, South Africa plant uses biogas. In the US we use energy sources such as hydropower as well as methane gas. There are countless examples of how we are achieving our energy goal step by step. How does your involvement with Formula E support your BMWi/urban mobility offering? While decarbonization is the key theme of our industry, the BMW Group has a strong athletic identity in its brand and production. Our dynamic identity has always made our products stand out. Given the air quality needs of large cities, Formel E offers an interesting approach to combining racing and sustainable mobility. Why does BMW continue to be involved with the Sustainable Innovation Forum? The BMW Group’s commitment to the Sustainable Innovation Forum is a unique tradition, and for good reason. Sustainable management is part of our corporate strategy. We have a holistic approach to sustainability across our entire value chain. At the same time, we are aware for that many goals can only be achieved in cooperation with partners and stakeholders. That’s why we are taking part in an exchange of ideas and information with other stakeholders as part of this global dialogue. The forum is the perfect venue for this. The largest business-focused event held during the annual Conference of Parties (COP), the Sustainable Innovation Forum 2017 heads to Bonn, Germany – the home of the UNFCCC. Now in its 8th year, the event will gather 600+ of the most influential national and local policy makers, UN agencies, business leaders, investors and international NGOs to meet, share knowledge and lead by example towards the full achievement of the Paris Agreement's ambitious climate goals. 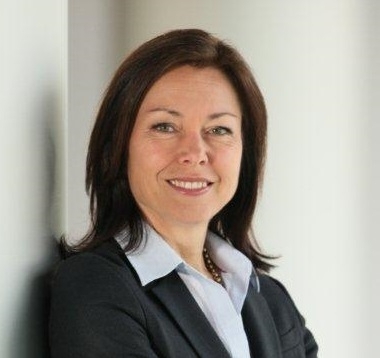 Ursula Mathar is the BMW Group Vice President of „Sustainability & Environmental Protection“. She is responsible for the companies’ sustainability strategy and the steering of sustainability and environmental protection management. Key areas included are the steering of the BMW sustainability network and the environmental functions of all BMW production sites worldwide, the integration of sustainability in the value chain, and the sustainability reporting. Ursula Mathar is a member of the BMW Sustainability Board and the BMW Sustainability Circle. She holds a business degree and a pharmacist license. Before joining the BMW Group in 2012, she worked for Bayer AG in marketing and sustainability functions.